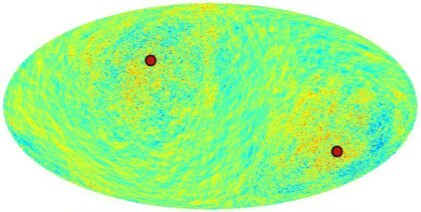 Over on cosmic variance, I found an old post concerning the issue of whether there might be large-scale anomalies in the cosmic microwave background sky. I blogged about this some time ago, under the title of Is there an Elephant in the Room?, so it’s interesting to see a different take on it. 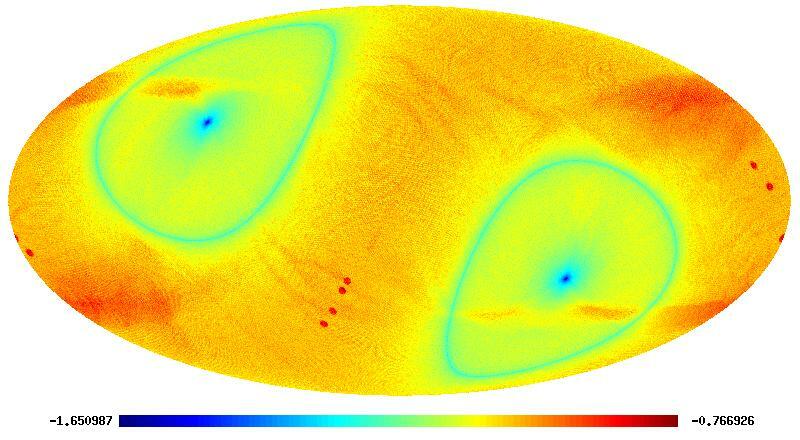 Interest in this issue has been highlighted by a recent paper by Groeneboom & Eriksen that claims to have detected asymmetry in the distribution of fluctuations in the data from the Wilkinson Microwave Anisotropy Probe (WMAP) inconsistent with the predictions of the standard cosmological model. If this feature is truly of primordial origin then it is an extremely important discovery as it will (probably) require the introduction of new physics into our understanding of cosmology, and that will be exciting. It is the job of theorists to invent new theories, and it is not at all a problem that these bits of evidence have generated a number of speculative ideas. Who knows? One of them may be right. I think it is the job of theoreticians to think as radically as possible about things like this. On the other hand, it is the observational evidence that counts in the end and we should be very conservative in how we treat that. This is what bothers me about this particular issue. The picture on the left shows a processed version of the WMAP fluctuation pattern designed to reveal the asymmetry, with the apparent preferred direction shown in red. This map shows the variation of the across the whole sky, and the claimed result is that the fluctuations are a bit larger around the red dots (which are 180 degrees apart) than in the regions at right angles to them. It’s a slight effect, but everything in the picture is a slight effect as the CMB is extremely smooth to start with, the fluctuations in temperature being only about one part in a hundred thousand. The statistical analysis looks to me to be reasonably solid, so lets suppose that the claim is correct. The picture on the right (courtesy of NASA/WMAP Science Team) shows the scan strategy followed by the WMAP satellite on the same projection of the sky. The experiment maps the whole sky by spinning its detectors in such a way that they point at all possible positions. The axis of this spin is chosen in a particular way so that it is aligned with the ecliptic poles (out of the plane of the solar system). It is in the nature of this procedure that it visits some places more than others (those at the ecliptic poles are scanned more often than those at the equator), hence the variation in signal-to-noise shown in the map. You can see that effect graphically in the picture: the regions near the North and South ecliptic poles have better signal to noise than the others. The axis found by Groeneboom & Eriksen is not perfectly aligned with the ecliptic plane but it is pretty close. It seems a reasonable (if conservative) interpretation of this that the detected CMB anomaly could be due to an unknown systematic that has something to do either with the solar system (such as an unknown source of radiation, like cold dust) or the way the satellite scans. The WMAP team have worked immensely hard to isolate any such systematics so if this is such an effect then it must be very subtle to have escaped their powerful scrutiny. They’re all clever people and it’s a fabulous experiment, but that doesn’t mean that it is impossible that they have missed something. Many of the comments that have been posted on cosmic variance relating to this question the statistical nature of the result. Of course we have only one sky available, so given the “randomness” of the fluctuations it is possible that freakish configurations occur by chance. This misses the essentially probabilistic nature of all science which I tried to describe in my book on probability From Cosmos to Chaos. We are always limited by noise and incompleteness but that doesn’t invalidate the scientific method. 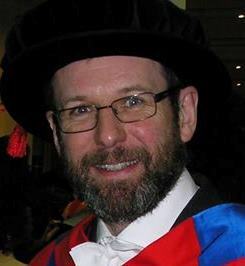 In cosmology these problems are writ large because of the nature of the subject, but there is no qualitative difference in the interplay between science and theory in cosmology compared with other sciences. It’s just less easy to get the evidence. So the issue here, which is addressed only partially by Groeneboom % Eriksen, is whether a lop-sided universe is more probable than an isotropic one given the WMAP measurements. They use a properly consistent Bayesian argument to tackle this issue and form a reasonably strong conclusion that the answer is yes. As far as it goes, I think this is (probably) reasonable. However, now imagine I don’t believe in anistropic cosmologies but instead have an idea that this is caused by an unknown systematic relating in some way to the ecliptic plane. Following the usual Bayesian logic I think it is clear that, although both can account for the data, my hypothesis must be even more probable than a lop-sided universe. There is no reason why a primordial effect should align so closely with the ecliptic plane, so there is one unexplained coincidence in the lop-sided-universe model, whereas my model neatly accounts for that fact without any freedom to adjust free parameters. Ockham’s razor is on my side. So what can we do about this? The answer might be not very much. It is true that, soon, the Planck Surveyor will be launched and it will map the CMB sky againat higher resolution and sensitivity. On the other hand, it will not solve the problem that we only have one sky. The fact that it is a different experiment may yield clues to any residual systematics in the WMAP results, but if it has a similar scan strategy to WMAP, even Planck might not provide definitive answers. I think this one may run and run! The views presented here are personal and not necessarily those of my employer (or anyone else for that matter). Feel free to comment on any of the posts on this blog but comments may be moderated; anonymous comments and any considered by me to be abusive will not be accepted. I do not necessarily endorse, support, sanction, encourage, verify or agree with the opinions or statements of any information or other content in the comments on this site and do not in any way guarantee their accuracy or reliability. Why is General Relativity so difficult? All together now, say after me .. "rød grød med fløde"
A Whiter Shade of Bach? Did Jesus have a Beard? Get your RSS links here..